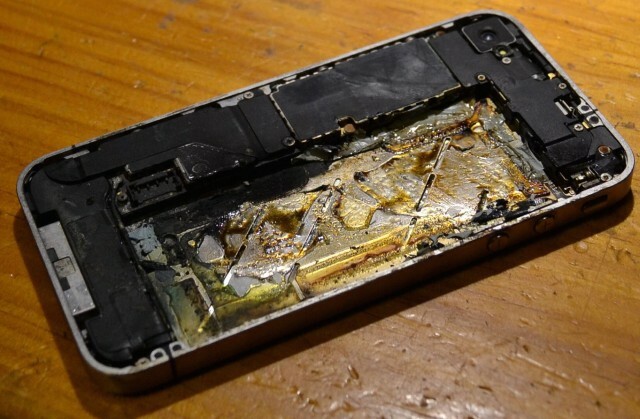 The TSA has started treating smartphones with dead batteries like potential bombs, but after an iPhone mishap on one plane caused an emergency evacuation, maybe they should be more worried about all the iPhones with a full charge too. Panic broke out on a flight bound for Prague this weekend after an iPhone 5 caught fire in a passenger’s bag, causing the entire plane to be evacuated back to the main terminal. The plane’s cabin quickly filled with smoke after a girl’s iPhone 5 spontaneously burst into flame, but luckily the flight hadn’t taken off yet. Flight crews asked everyone to disembark once the first signs of smoke were seen, but its cause wasn’t immediately apparent until the young girl checked her bag to find flames and smoke radiating out the iPhone. None of the 150 passengers boarding the plane when the fire started were hurt, and after a thorough re-inspection the flight was finally cleared, although the girl did have to leave her iPhone 5 behind. The cause of the iPhone fire is not known, but it’s not the first time we’ve seen and iPhone or iPad suddenly catch fire. An iPad Air exploded in Australia late last year, causing severe damage to a Vodafone store in Canberra, while a flaming iPhone 5c set a girl’s pants on fire earlier this year.